Revel in the breathtaking view of Music City from any one of our 673 deluxe guest rooms. Discover southern style and charm at Renaissance Nashville Hotel in the heart of Music City. Whether you need an intimate boardroom or a large, sophisticated venue, Renaissance Nashville Hotel offers diverse options for any event. We’re here to make a permanent, New Nashville impression, and approximately 70,000 square feet of high-tech event space is just part of the plan. Here, you’re immersed in a bustling scene with adirect connection to the future entertainment complex—Fifth + Broadway. You’ll still find that familiar downtown, Honky Tonk vibe, but you’ll also be surrounded by contemporary cuisine, live music that’s influencing every corner of the world and sporting events that make you feel like you’re part of team. On top of mixing up cocktails and serving drinks, the bartenders also hand-chisel ice from a 300-pound block for each and every libation. 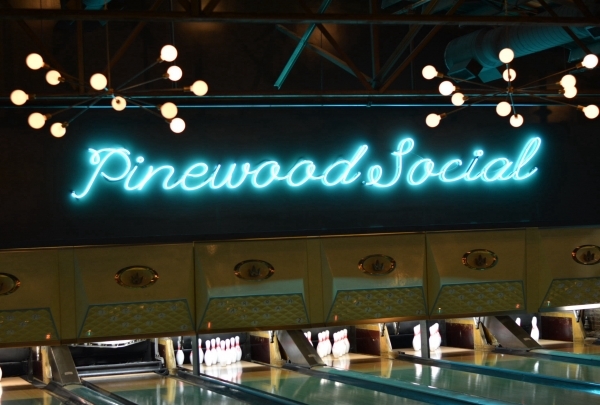 Pinewood Social, as the name suggests, is a place for being social! The space houses a restaurant, two full-service bars, a bowling alley, and an outdoor pool, and also features bocce ball, karaoke, billiards and more fun activities. The Pinewood's restaurant is world-class and serves a large menu of American fare, including many vegan and vegetarian options. The Pinewood Social definitely has something for everyone, whether you're looking for a romantic, sit-down dinner, or an unforgettable night on the town with friends. 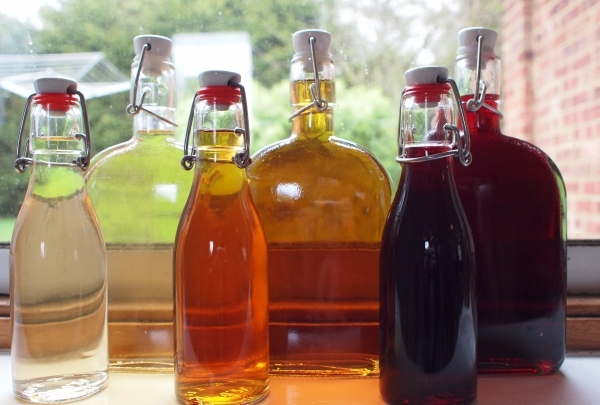 The Farm House is a farm-to-table establishment, so all the homemade food and drink include the very best ingredients the area has to offer. Have you ever visited a chic barnyard? If not, you should stop by The Farm House. The restaurant features a kitchen area visible from the dining room, and is carefully furnished with wooden tables and chairs and dimly lit with old lamps that lend the space a rustic feel. The service is prompt and efficient and the knowledgeable staff has been known to go over the menu (which changes seasonally and daily) with patrons to help them pick the perfect snacks, appetizers, main courses, and desserts. Some of the must-try dishes at Farm House are the Gouda grits served with bone-in pork chop, pork belly with sweet potato gnocchi, and the hot chicken. 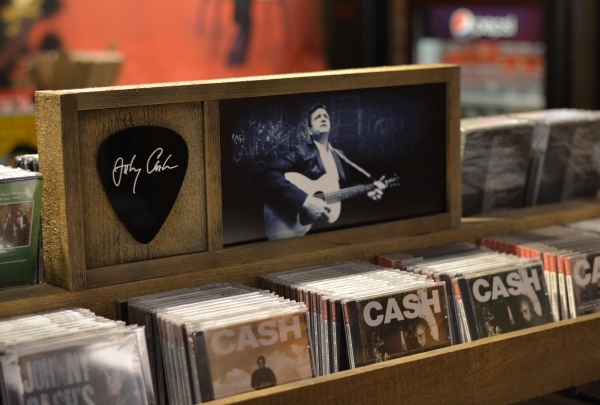 This museum and store is dedicated to the “Man in Black" and features memorabilia, interactive exhibits and a 250-seat auditorium. You'll also find an amazing assortment of CD's, DVD's, apparel for men, women, pets and much more. Don't be surprised to meet some of the Cash family there, since there's the occasional performance for some groups. 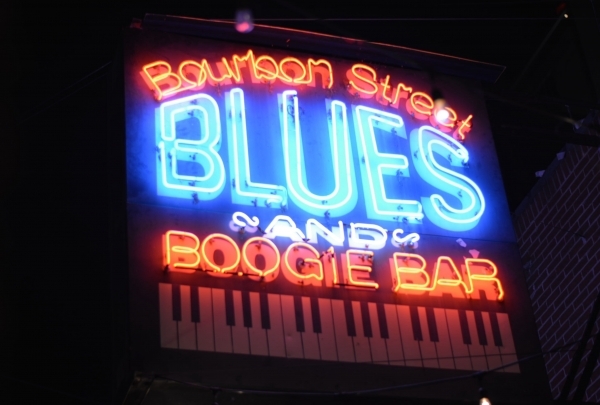 Nestled in Historic Printers Alley, this Blues bar serves cocktails and beers that reflect the high energy of the music. Nestled in Historic Printers Alley sits a venue that's been crowned "Best Blues Bar" in Nashville. With a New Orleans-style, the high energy from the stage influences your choice of cocktail or beer. For many years now, I've enjoyed the lead guitar of Stacy Mitchhart. Sometimes the mood calls for whiskey, other times... its a beer. Either way, it's a great time by all. These premier men & women consignment stores are unlike any you have seen before. It's hip to Flip! 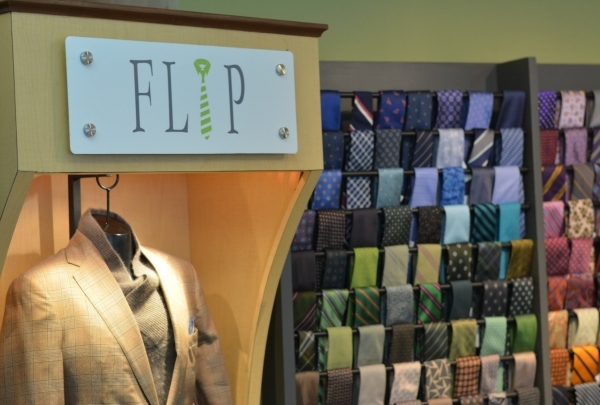 Flip, the premier men’s & women’s consignment stores are unlike any you have seen before. Due to the unique nature of how their inventory is sourced, you can find designer clothes and accessories at a great value. 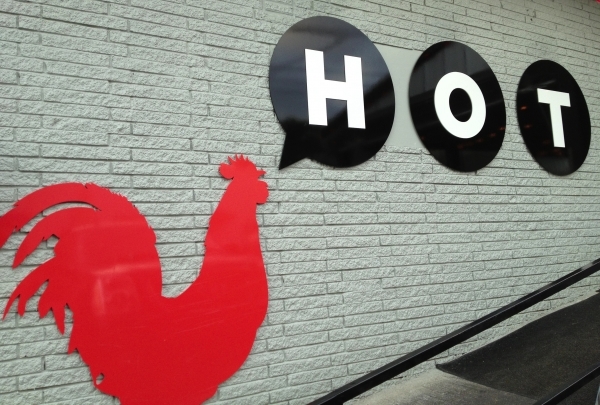 The story of Nashville Hot Chicken is local legend. I'm going for the "hot" chicken tenders with Renaissance fries. 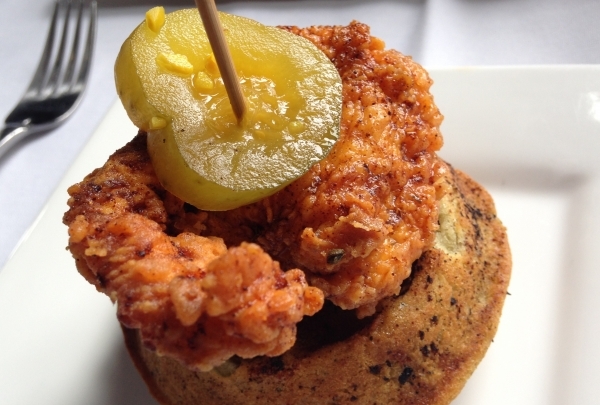 Hattie B's Nashville Hot Chicken brings a new appreciation and popularity to the dish. With four heat levels available, the chicken delivers great flavor with sweet undertones. I'm going for the chicken tenders served hot with Renaissance fries... they're covered with the same hot finishing oil. For a guy that does not call himself a chef, owner Pat Martin has definitely created excitement for his whole hog BBQ. Featuring the whole hog that's slow smoked in a pit, Martin's delivers satisfaction. 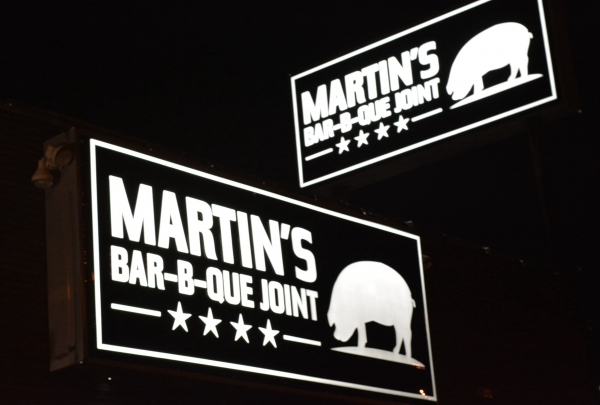 A recent honor for Martin's BBQ was to cook at the James Beard House, and Pat Martin is quick to say that he's not a chef, just a guy cooking Tennessee pit-style 'que. From ribs wet or dry, to their signature Redneck Taco loaded with pork, brisket, chicken, turkey or smoked sausage; enjoy BBQ at its finest. Whiskey Kitchen is tavern-chic and offers an extensive list of mixologist cocktails and world-class spirits. 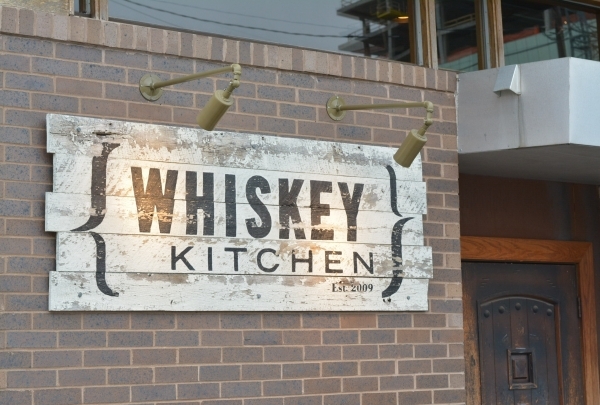 Whiskey Kitchen is a tavern-chic bar and restaurant in The Gulch. The bar offers an extensive list of mixologist cocktails and one of the city's largest collection of world-class whiskeys, bourbons, ryes, and scotches. Slip on some headphones and connect with music like days of old. Feel the power of album cover art as you hold a record. 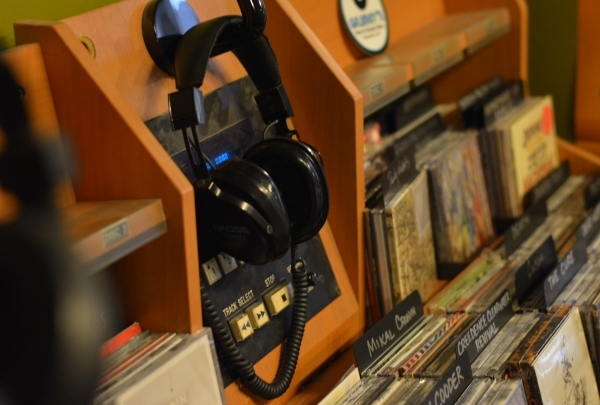 It's awesome to slip on some headphones and lose yourself in the music before you buy it. Once an old house, this now beloved record store is a city-wide favorite for vinyl, CDs and hosting in-store events. Spirits are crafted in a 1920 pot still that survived prohibition. My "neat" find is the small batch Triple Smoke. In historic Marathon Motorworks Village, where Nashville once built automobiles, resides a local micro-distillery. Spirits are crafted in a 1920 copper pot still that survived prohibition. 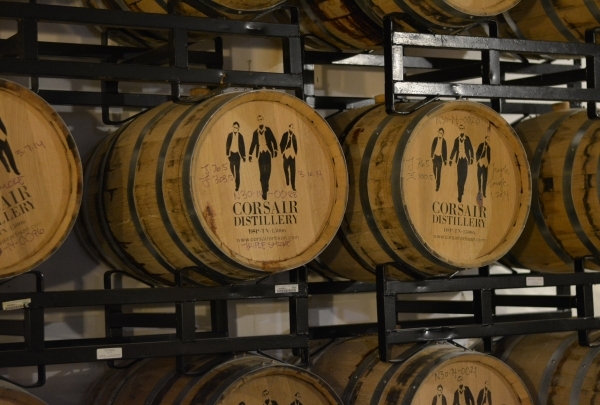 Tour the whiskey production division or retire to the bar for a spirits tasting. Choose a sample flight of 5 spirits or have a full cocktail. For a unique gift or decor idea, the vintage and custom music and concert posters are great. They can print any poster you want! 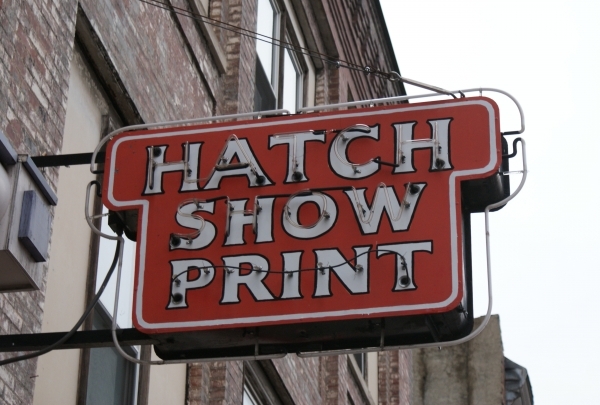 The oldest print shop in America opened in 1879. For decades it was the leading poster printer for circuses, vaudeville shows and sporting events. Today, it is best know for creating images of Grand Ole Opry stars, thousands of which line the shop's walls. Modern-day artists employ the same techniques that have been used since the 15th century, including printing works on site. Join chef Hal for his version of a "greatest hits" album of food. He's been collecting recipes and dishes for years. Chef Hal has been collecting recipes and dishes for years and now his goal is for everyone to enjoy these culinary creations. Community is important for this East Nashville restaurant, as they locally source products to create dishes such as the chicken liver pâté in a jar of Benton’s bacon fat, grilled bread and smoked peach preserves. Cheerful and focused, owner Gigi Gaskin fashions felts, crafting many styles of hats for both men and women. 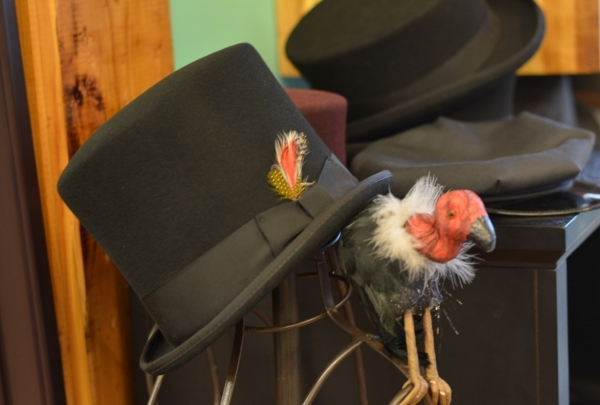 After a local Greek hatter closed his shop years ago, Gigi Gaskins was inspired to develop her craft, teach others and open the specialty hat boutique, hatWRKS. She crafts many styles of hats for both men and women. Urban Grub buys all of their seafood from local sources, so its paid for while its still being caught and arrives on-site 3-5 hours later. 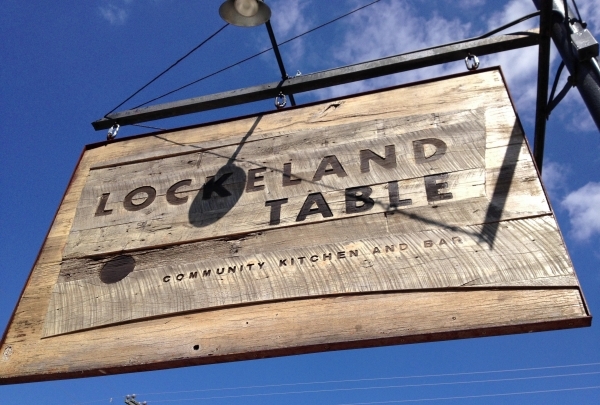 This charming restaurant is not what you would expect to find in Nashville. It is unique, impressive and it will definitely enchant you with all its variety. 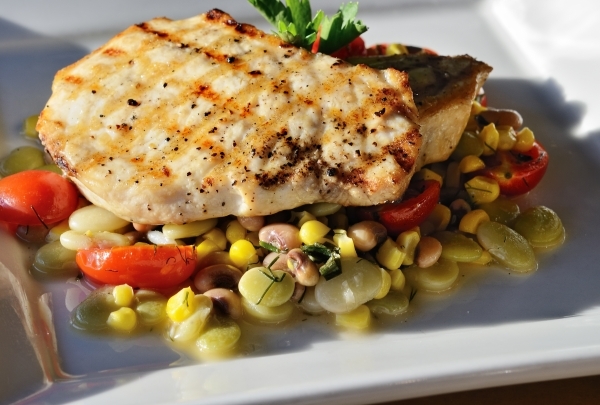 Their menu mixes a combination of typical Southern food with fresh fish and seafood. The also have a oyster bar that is incredible. Make sure you try the charcuterie board and one of their many wines. If you are looking for a drink, check out their cocktails, especially the sangria. The decor is casual, chic, comfortable and cool. For a romantic night have dinner outside, near the fireplace. This stylish restaurant will definitely captivate you with its fantastic meals and drinks. Southern inspired cocktails add to the ambiance of this uniquely Nashville venue. The Back Porch with moonshine and lemonade is a must try. The essence of Nashville reverberates through this unique entertainment space in the Lower Broadway neighborhood of the city famous for its country music scene. Spread out over 22,000 square feet, Acme Feed & Seed honors the musical past, present and future of Nashville with a spacious stage on the ground level with gourmet, street-food, a boutique that sells Acme merchandise, and two bars with over 28 draft beers on tap. 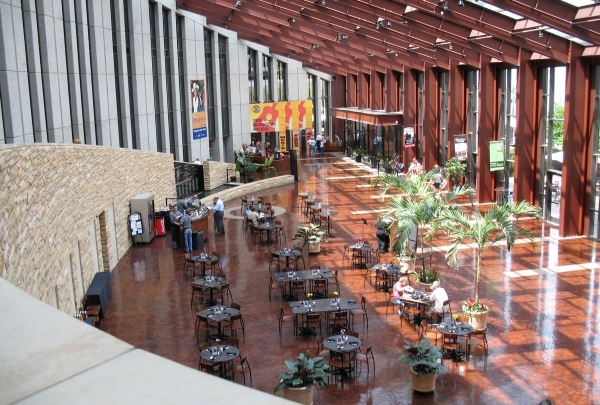 The second level features a comfortable lounge, where patrons can stay and chat awhile, while the third level holds the Hatchery, a popular music venue. Not to be missed, the rooftop offers spectacular views. 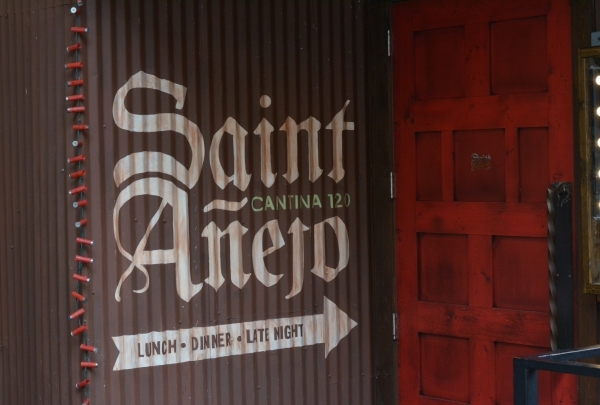 So experience the Nashville music scene for yourself and stop into Acme Feed & Seed. Be sure to visit the upstairs portion of South Street, which houses an open-air oyster bar where you can eat and drink amongst the trees. 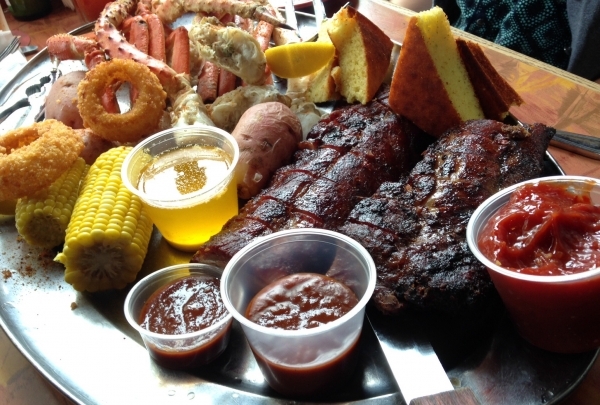 South Street, located on Nashville's famous Music Row, is a restaurant and bar, that specializes in Southern Urban Cuisine, barbecue, seafood, and delicious drinks. When the weather is warm, the open-air seating is the most sought after spot in the place, and winter encourages diners to sit around the large fireplace in the middle of the restaurant. The bar is popular all the time, and stays lively until closing. The menu features items such as fried oyster po'boys, fried shrimp baskets, pulled barbecue Pork, fried green tomatoes, mac and cheese, mashed potatoes, corn cakes alongside daily barbecue and seafood specials. Past-midnight-party-animals can take advantage of the late night menu. 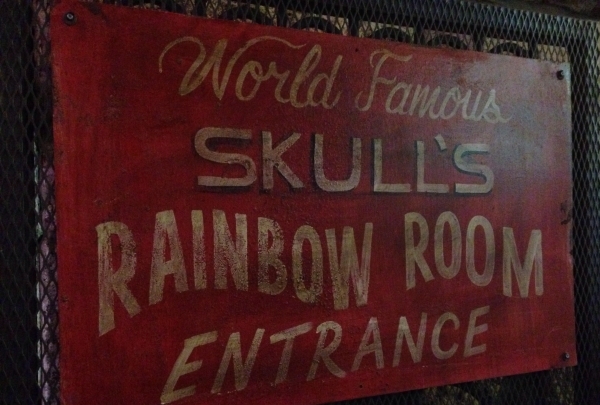 This prohibition-themed bar serves up its own moonshine in a variety of flavors. Enjoy great musical performances several times a week. Travel back in time to the prohibition era and sample Bootleggers Inn's own special moonshine. Serving up great drinks, this bar attracts lively crowds on most nights. The prohibition era theme is evident in the decor (here's your chance to scope out their mason jar chandeliers). Several nights a week, you can come and enjoy great music by local musicians. After a great night, you can pick up stylish hats and other merchandise to remember your trip here. Although now in newer fancier digs than the original, no trip to Music City is complete without a night at the legendary Opry. 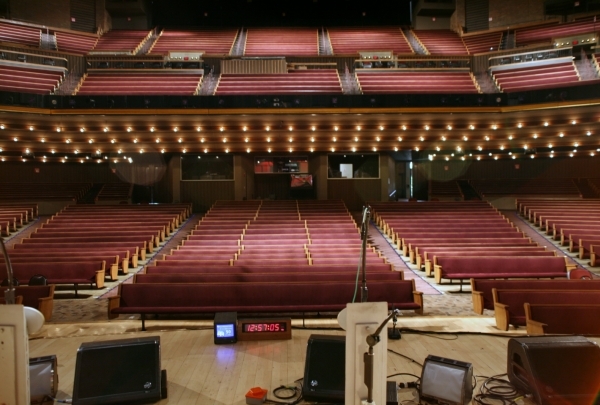 When the world famous Ryman Auditorium closed its doors to country music performances, a section of the stage was removed and installed here, at the new home of the Grand Ole Opry. Country music artists, past and present, consider performing on this stage the highest of honors. The 45,000 square foot building seats 4,400 people. It is host to 'The Country Music Association Awards Show', various concerts, conventions and business conferences. Come explore the history and legends of country music through a vast array of pieces and multimedia exhibits. Discover the stories behind the music as you view over 3,000 stage costumes, original song manuscripts and musical instruments. Many of the personal items of music legends are on display including Elvis' solid gold Cadillac. 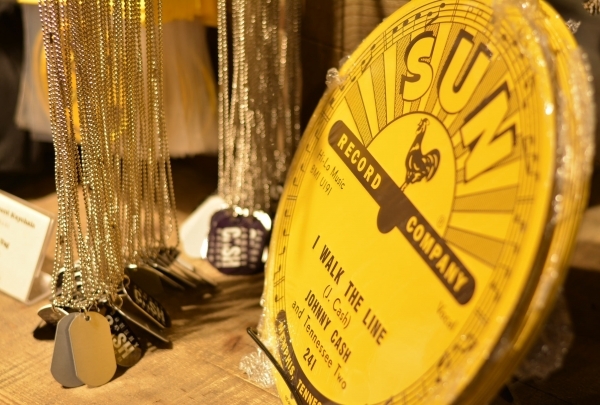 Admission includes a visit to the historical RCA Studio B and the Music Row walking tour. Allow at least two hours for exhibits and the tour. This store specializes in high quality vintage Western Wear for women, from legit cowboy boots to hats and other original accessories. Goodbuy Girls offers a huge collection of vintage and contemporary pieces that are so unique in style. To add to it, the prices do not burn a hole in your pockets. One of the things that you cannot miss are the vintage boots. So if your looking at creating a whole new wardrobe for yourself Goodbuy Girls is the place to be. This hidden gem specializes in the unique and unusual; all kinds of vintage and recycled goods from clothing furniture and more. With a compact space and creatively scattered products, this store is going to charm classy senses to the core. 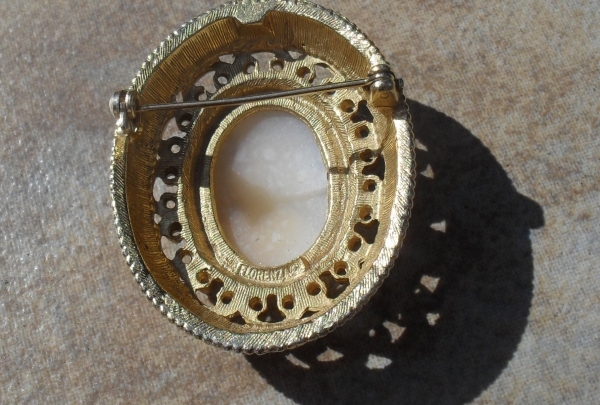 Products include jewelry, bags, artworks, ceramics, furniture and clothes. The local influence and a quirky sensibility is evident on all their products. 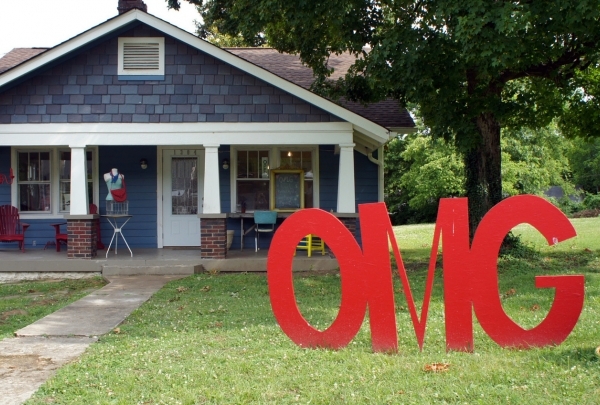 Visit Old Made Good to collect some distinguishing apparel, or to experiment with your living room decor. This vintage boutique is full of funky and stylish clothing and accessories like purses and belts. It's also great for jeans. The Hip Zipper carries nothing but retro wear. From biker jackets to bell bottoms, you will find everything you need to make a fashion statement. This trendy store also sells dinner jackets, ball gowns and costume jewelry among other items; however, be prepared to do some sleuthing. 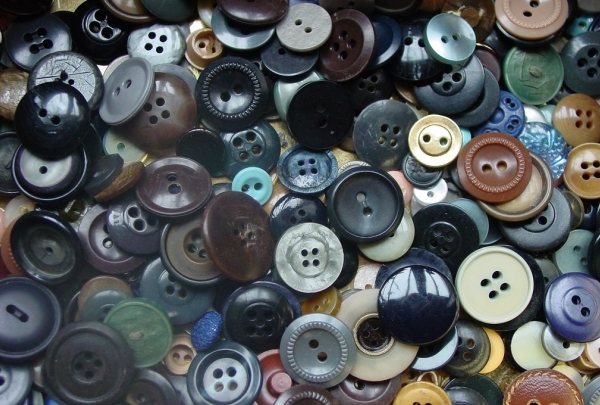 You must look closely through the many stacks and racks of clothing to find the real treasures. The inventory changes quickly, so check back often. In this historic and cozy space, enjoy a modern interpretation of Southern cuisine. Once a warehouse for Maxwell House Coffee, Cummins Station now houses a cozy restaurant featuring a modern interpretation of southern cuisine. I usually start with Nashville Hot Chicken and Waffle or the Fried Green Tomato with Pimento Cheese and Benton's Bacon Marmalade before devouring the red wine braised Short Rib. Dazzle the town as if you are about to take the stage in a Manuel original. The "Rhinestone Rembrant" (Manuel) is not a fashion designer, rather a costumer and artist. 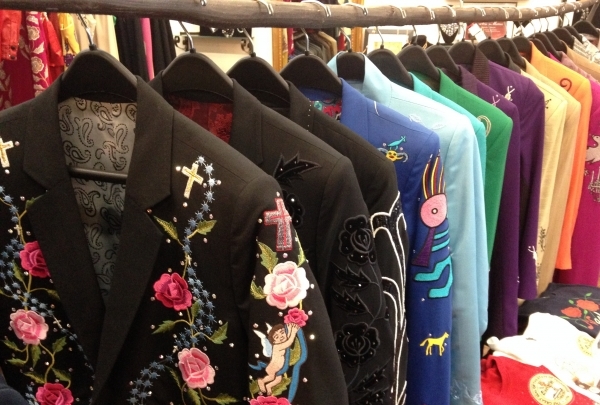 To wear a Manuel original means you have joined the likes of Little Richard, Johnny Cash and others that have "dazzled" the stage. Catch the charm of Manuel as he cuts cloth into shapes; creating masterpieces in his small design room... I have been so lucky. PRIMA transcends your restaurant experience to excellence. 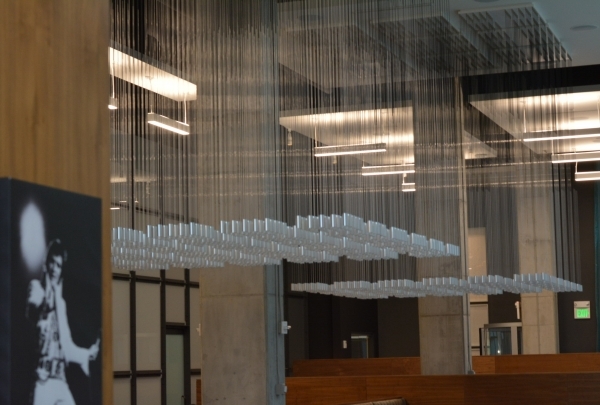 With a piece of oversized optical-fiber art, Cityscape, hanging from the ceiling and the impeccable service, PRIMA transcends your typical restaurant experience. One sip of The Lotus, made with gin, ginger hibiscus syrup, lemon juice and ginger beer, sweeps you away to the finest white sand beach. And the hibiscus flower that garnishes the drink, I'm eating it! Celebrate the now with modern interpretations of the classics, featuring my favorite...the Wagyu filet mignon. Celebrate the now, in the style of the great American steakhouse. Modern interpretations of the classics, like my favorite the Wagyu filet mignon, drives this chic and rustic restaurant. 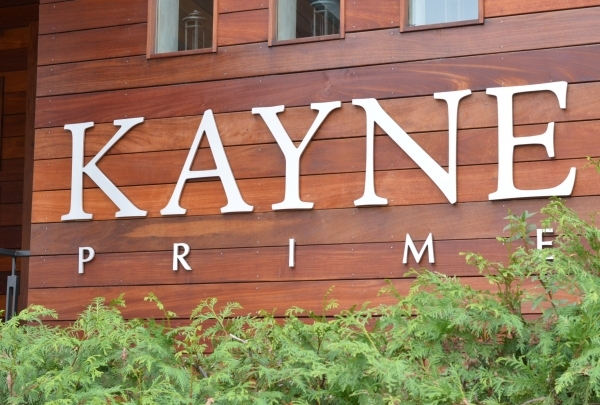 Located in The Gulch, a low-lying area once used to store train cars, Kayne Prime has become the local steakhouse staple. "Supper Club" meets "Speakeasy" meets "Variety Dance" in a roaring 20's atmosphere. Once the hangout for the then up and coming Alan Jackson and Tim McGraw, wall-hung memorabilia showcase 5-cent to 25-cent items. 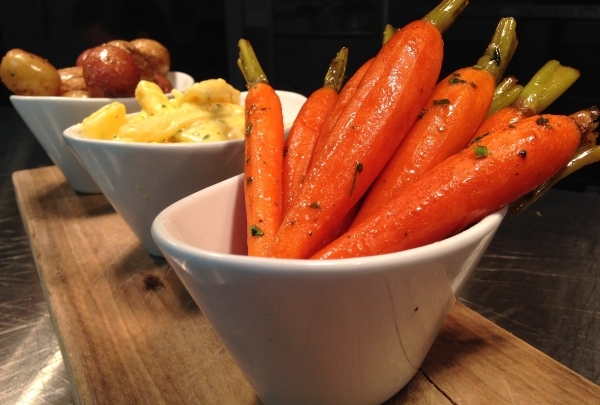 Today's menu is not pretentious, yet wows casual diners and foodies alike. I just love the lobster bisque followed by the filet served with mashed potatoes and a squash and zucchini medley. Spice up your day! This Mexican-chic restaurant boasts an extensive list of creative tacos and house-made guacamole. From the ruins of what was once a bread warehouse, this Mexican-chic restaurant boasts an extensive list of creative tacos, house-made guacamole and classic Latin cocktails. The bacon-wrapped jalapeño poppers are a must try. Find an amazing assortment of CDs, DVDs, apparel for men, women, pets and much more. This museum and store is dedicated to the “Man in Black" and features memorabilia, interactive exhibits and a 250-seat auditorium. You'll also find an amazing assortment of CDs, DVDs, apparel for men, women, pets and much more. Don't be surprised to meet some of the Cash family, since there's the occasional performance for some groups. Release your inner Indiana Jones and experience this real life adventure. The game is designed for small groups, where you work together to crack codes and solve riddles. You have 60 minutes to escape from one of the game's unique rooms. 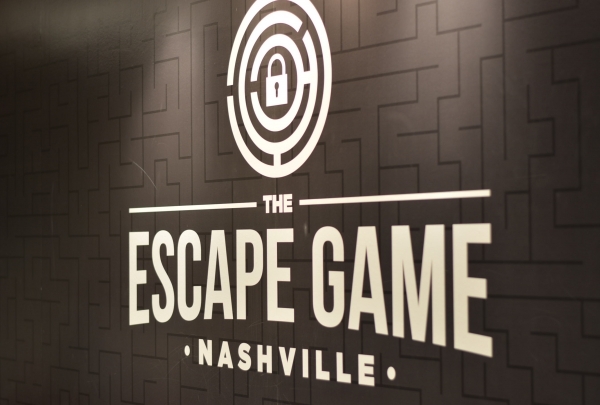 The Heist Escape Room is quite the challenge, but with seconds counting down... escape becomes reality. 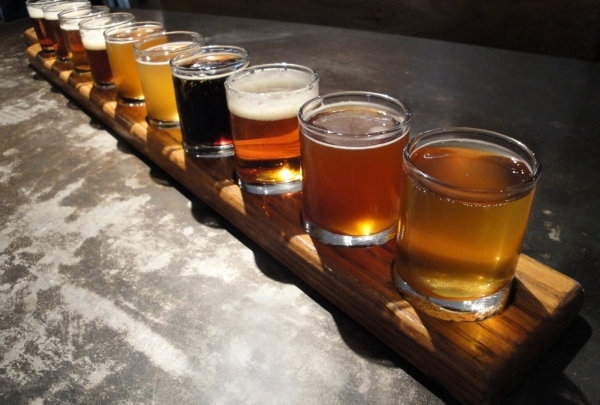 For a one-of-a-kind neighborhood experience, take your burger and house-made soda out to the beer garden. 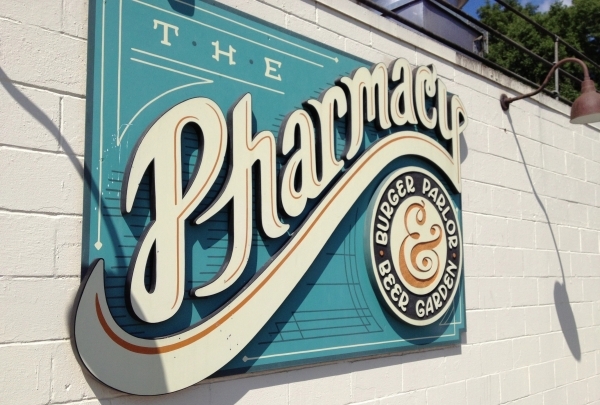 Located away from the hustle of downtown and located in East Nashville, a former community pharmacy is where you'll find this burger joint. My favorite, the Farm Burger, is piled high with Tennessee beef, country ham, apple-wood bacon and finished with an egg. For a one-of-a-kind neighborhood experience, take your burger and house-made soda out to the beer garden.